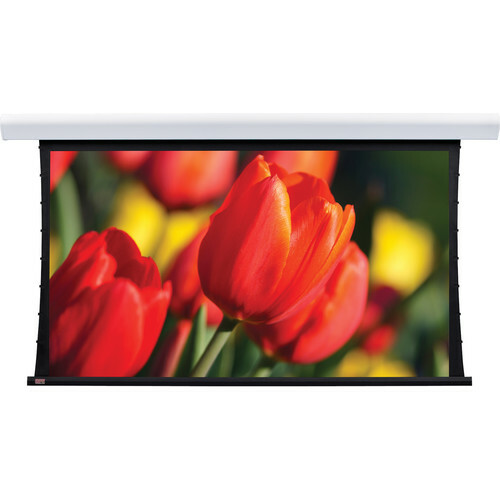 The 120V 107337FRQLP Silhouette/Series V 35.3 x 56.5" Motorized Screen with Low Voltage Controller, Plug & Play, and Quiet Motor from Draper supports wall or ceiling installation and features a tab-tensioning system. The sleek, curved aluminum case and endcaps are finished in white. The screen and dowel retract completely inside the case.